Everytime I start a climb I get so excited. I just say to myself “how the heck am I going to get all the way up there?” The bottom line is that if you start out prepared and equipped with the right gear you can do it. At Fusion Climb they understand what it is you need for your climb because they are climbers too. Fusion Climb harnesses are made to order if needed. At Lorsey.com we also carry the entire line of Kong USA ascenders, descenders, chocks, carabiners and harnesses. Everyone begins somewhere, especially with disaster preparedness. In 52 Prepper’s Projects, you’ll find a project for every week of the year, designed to start you off with the basics of disaster preparedness and taking you through a variety of projects that will increase your knowledge in self-reliance and help you acquire the actual know-how to prepare for anything. Self-reliance isn’t about building a bunker and waiting for the end of the world. It’s about understanding the necessities in life and gaining the knowledge and skill sets that will make you better prepared for whatever life throws your way. 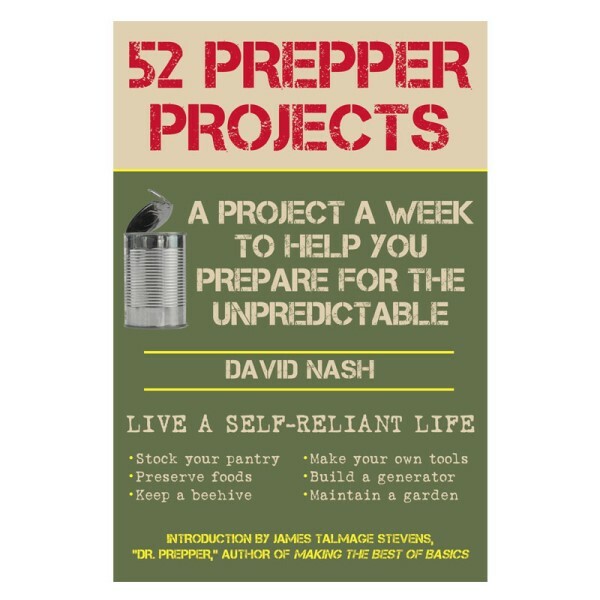 52 Prepper’s Projects is the ultimate instructional guide to preparedness, and a must-have book for those with their eye on the future. What survival gear do you already own? Up to 170 Gallons of Clean Water Per Day! 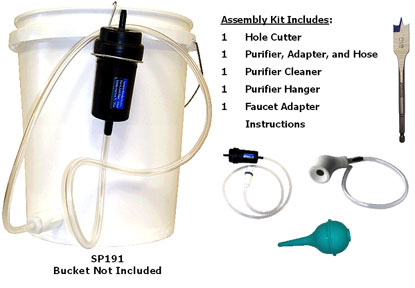 This Filtration System Exceeds EPA Standards for the removal Bacteria, Protozoa, Cysts, Viruses. The Sawyer® Point Zero Two Purifiers feature a 0.02 Micron Absolute Hollow Fiber Membrane, which uses medical technology developed from kidney dialysis. When the water is drawn through the filter, it flows through the side walls of the Hollow Fiber tubes. Sediment, bacteria, protozoa, cysts, and other contaminants are filtered out exceeding all applicable EPA recommendations. Give our Packin’ Tee a shot! 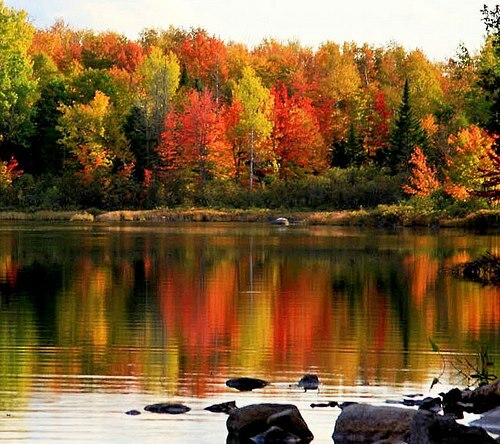 At Ridge Outdoors and Ridge Footwear, they cover more than just your footwear needs. Check out the new Packin’ Tee. It’s the most versatile conceal weapon shirt on the market. It offers two hook and loop pads on both sides of the body so that you can locate your holster on either side depending on which hand you draw from. Some of the key features of the shirt are starting at the top of the shoulder on both sides Ridge has added support all the way to the bottom of each pad to keep the shirt from sagging after a long day of carrying your weapon. Ridge has also extended the length, made the shirts preshrunk and around the back added additional support that allows the shirt to stay firm on your shoulders as you are going through your day carrying your weapon. Ridge offers three accessories for the Packin’ Tee. The main accessory, of course, is your holster. Ridge offers the holsters in two sizes, small and large, so that you can carry 95% of the handguns on the market. Ridge also offers a magazine pouch. This allows you to utilize the side of the shirt that you don’t use for your holster to carry a spare magazine just in case you might need that extra ammo. Ridge also offers an accessory pouch. This is just for anything you might need to carry such as money, badge, wallet, cell phone etc. Ridge offers the shirt and the accessories in two colors, white and black and sizes from small to XXXL. Give our Packin’ Tee a shot today. Powerfilm Solar products are made out of thin film technology. It is extremely thin, very light weight and very flexible. The Powerfilm Solar foldable products range from 5 watts up to 90 watts of power. The 90 watt panel weighs roughly 4-1/2 pounds. Use it to charge your cell phone, GPS or even your laptop computer. Most of you probably own a compass and have it packed away in your survival backpack or in some type of wilderness kit. Many of you may never have been in the situation where you needed to depend on that compass to help you find your bearings and navigate in the wild. Most of the time when I’m out in the wilderness I’m in familiar territory and I don’t need a compass myself, but once in a while when I’m in an unfamiliar area it can be very helpful to have a compass. Make sure you understand how to use your compass before you venture too far into the woods. Where do you find quality tactical gear? I don’t know about you but I go to the people at Condor Outdoors for my survival gear and tactical equipment. Condor Outdoors is the place to find quality outdoor tactical equipment at low prices. From the 3 day Assault Pack to the Summit Soft Shell jacket to the Lightweight Rip-Stop Tactical Pants, Condor Outdoors has you covered. After a long wait, the much anticipated Katadyn Pocket Water Filter is now back in stock. However there are only 250 available so please act quickly. Used by militaries and relief organizations all over the world the Katadyn Pocket Micro-filter is an essential part of your survival gear pack. It’s rugged aluminium and stainless steel design carries a lifetime warranty. Conditions can get rough out there. You want your valuable protected. I suppose you could use an empty Pringles container but are you going to trust your first aid kit to be carried in a potato chip can? The people at Exotac have got it right. They’ve been making quality survival gear for years and have hit a home run with the new Exotac Lifecap. Features such as multiple lanyard attachment locations, ACME threads and dual O-rings make the Exotac Lifecap the only storage capsule you’ll ever need. Bear Grylls has collaborated with Gerber Knives to create the ultimate survival gear. The Ultimate Knife comes with a five inch blade and can be lashed to create a spear. The real beauty of the knife is the sheath that comes with it. The sheath has tools incorporated with including a sharpening stone, an integrated fire starter, a diagram of air to ground signals and a priority survival guide.